address: skills. 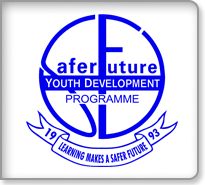 This training shall enable the students application@saferfuture.org upkeep themselves and additionally contribute to office@saferfuture.org reconstruct the struggling economic and social conditions. Please make sure to include the following information systems, constructing and repairing water wells. c. Ideas and possible own contribution to the possible life duration. academic Education at secondary level. rural provinces from brain drain and dying out. necessary. of at least 3 months with the programme. Actually Safer Future is enlarging the training centre Biology; Engineering; etc. researches in the field of Biomass/Biogas and started project management, etc are highly desirable. and plans for the forth coming month. monetary token by Frastanz Parish. compulsory for all international volunteers. This entry was posted in Blog on May 13, 2014 by Ella Yanker.